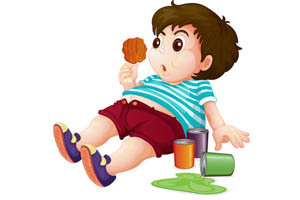 Do Bad Diets Begin In Infancy? You have probably heard the saying “As the twig bends, so grows the tree”. The origin of that quote is lost in lore of medieval England, but the saying absolutely rings true when we are talking about infant nutrition. What does a healthy diet for their infant look like? What should they do if their infant is a fussy eater? Could what they feed their infants influence their eating patterns and their health for years to come? Of course, there is no shortage of advice. There are the family customs handed down from generation to generation. There is lots of advice on the internet, some of it offered by people who have no knowledge of nutrition. Your pediatrician’s advice may be based on what they learned in medical school, but it is just as likely to have come from their mother. All that advice is well meaning, but some of it is flat out wrong! Fortunately, the Centers for Disease Control and the US Food and Drug Administration have sponsored a major study called the longitudinal Infant Feeding Practices Study II (IFPD II) to answer these and other important questions about infant feeding practices. The initial phase of the study was performed between May 2005 and June 2007 and was reported in 2008 (Fein et al., Pediatrics, 122: S28-S35, 2008). During this phase of the study investigators simply collected information on infant feeding practices from ~2000 mothers when their infants were between 1 month and 1 year of age. The purpose of this phase of the investigation was simply to collect baseline data so that subsequent studies could correlate infant feeding practices with diet and health outcomes as these children got older. The first neonatal feeding practices survey was sent when the infant was ~ 1 month old. Between ages 2 to 7 months, nine more surveys were sent out on an approximately monthly basis. These surveys asked about infant feeding, health, care, and related issues. After 7 months additional surveys were sent out every 7 weeks until the infant was 12 months old. In addition, the study included two maternal dietary surveys, one during pregnancy and a second one 4 months after delivery. Infants who were breastfed for 12 months or longer were significantly more likely to drink water and to eat fresh fruits and vegetables at age 6 than infants who were breastfed for 6 months or less. Infants who were breastfed for 12 months or longer were also significantly less likely to consume juices and sugar-sweetened beverages at age 6. However, no correlation was seen between the duration of breastfeeding and consumption of milk, sweets and salty snacks in this study. The authors of this study made the interesting comment that the taste of breast milk varies somewhat depending on what the mother has eaten that day. In contrast, commercial infant formulas taste the same every time and are often somewhat sweeter than breast milk. They hypothesized that this normal variation in the taste of breast milk may make toddlers and young children more willing to accept new foods such as fruits and vegetables. Of course, the authors cannot eliminate the possibility that mothers who breastfeed longer are also choosier about what they feed their children. 33% of 6-year-olds in their survey consumed fruit less than once daily and 20% consumed vegetables less than once daily. More importantly, children in their study who consumed fruits and vegetables less than once daily during late infancy (10-12 months) were ~2.5 times less likely to eat fruits and vegetables more than once daily at age 6. The authors of the study made the interesting observation that a liking of things that are sweet or salty is hardwired into the human brain. A single exposure to sweet and salty foods during infancy may be all that it takes to create a lifelong craving for those kinds of foods. In contrast, it may take repeated exposure to fruits and vegetables during infancy to develop a familiarity and preference for those kinds of foods. One of the authors of this study reported in a previous study that infants who were offered green beans for the first time squinted and wrinkled their noses. However, many of those same infants opened their mouths to try a spoonful if parents persisted. Once again, there are other factors to consider, such as the kind of diet parents are modeling for their children. Consumption of Sugar-Sweetened Beverages During Infancy Doubles The Odds Of Consuming Them At Age 6 (S. Park et al, Pediatrics, 134: S56-S62, 2014). This study speaks for itself, but it is troubling. I shudder every time I see a young mother wheeling her baby through a store with a soft drink in their baby bottle. The implication of these studies and several other studies published in that issue of Pediatrics is clear. Bad diets do begin in infancy. However, there is a positive side to these studies. Good diets also begin in infancy, and you are in charge of what your infant puts in their mouth. These studies are critically important because bad diets are not just a victimless crime. Bad diets affect health. Eventually, they kill people. Here are two examples from this set of studies that show how an infant’s diet affects their health – one positively and one negatively. Duration of Breastfeeding Is Positively Correlated With A Healthier Immune System At Age 6 (R. Li et al, Pediatrics, 134: S13-S20, 2014). This study showed that longer breastfeeding and later introduction of foods was associated with lower rates of ear, throat, and sinus infections. This conclusion is not exactly new. It strongly supports what a number of previous studies have shown. Consumption of Sugar-Sweetened Beverages During Infancy Doubles The Odds Of Obesity At Age 6 (L. Pan et al, Pediatrics, 134: S29-S35, 2014. This finding is not surprising. The study mentioned above showed that consumption of sugar-sweetened beverages during infancy doubles the odds of consuming them at 6. Moreover, previous studies have clearly shown that consumption of sugar-sweetened beverages is associated with obesity in children. However, this finding is troubling because obese children often become obese adults, and obesity is associated with many serious health issues. Again, the implication of these studies is clear. Both bad health and good health can be strongly influenced by feeding habits established in infancy. A major clinical study supported by the Centers for Disease Control and Prevention and the US Food and Drug Administration monitored infant feeding patterns during the first year and compared those patterns with diet habits and health outcomes at age 6. Infants who were breastfed for 12 months or longer were significantly less likely to suffer from of ear, throat, and sinus infections. Children who consumed fruits and vegetables less than once daily during late infancy (10-12 months) were ~2.5 times less likely to eat fruits and vegetables more than once daily at age 6. Consumption of sugar-sweetened drinks during infancy doubles the chances that children will still be consuming sugar-sweetened beverages and will be obese at age 6. This study strongly confirms what many smaller studies have suggested for years. It reinforces the importance of breastfeeding for at least the first 12 months and slowly transitioning to healthy foods rather than sugar-sweetened beverages and junk foods. It shows that what we feed our infants may influence their diet and their health for a lifetime.